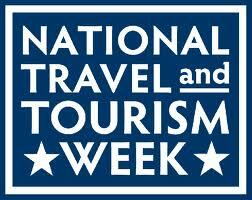 Happy Travel & Tourism Week! Since it’s National Travel & Tourism Week, we want to..well, brag a little! Clearly, people LOVE visiting Frisco, because in 2008 alone, travel spending in Frisco totaled $1.2 billion! Thank you to all of the visitors that came to Frisco to watch our four professional sports teams in action, take in an exciting concert or show, and take advantage of our stellar shopping, great food, and top-of-the line hotels!